AAA Fire Protection Services helps businesses just like yours to stay in compliance with federal and state fire protection code. We've been providing fire protection services for more than 40 years to South San Francisco businesses and to businesses within the entire San Francisco Bay Area. We are an authorized Ansul fire systems installer and we provide emergency light installation too. 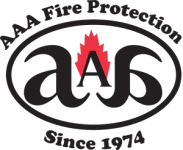 AAA Fire Protection Services offers comprehensive fire protection services such as paint booth fire systems for the automotive industry and the testing, maintenance, and repair of those systems, when necessary. We offer a comprehensive emergency light installation program, which provides full emergency light service including emergency light testing on a regular basis and emergency light repair when needed. Our team is comprised of industry professionals. We work efficiently and provide affordable services to help you reduce the risk of fire while maintaining compliance with state and federal law. We are industry experts. We supply Industry expertise for most industries found within the San Francisco Bay Area. We've more than 40 years experience helping businesses just like yours reduce the risk of fire and providing safety in case there is a fire.